[PSVita] Enigma Vita v1.22git-vita1.11-rsn8887 Released » Brewology - PS3 PSP WII XBOX - Homebrew News, Saved Games, Downloads, and More! 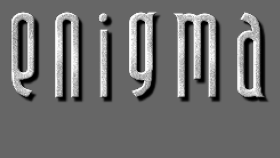 rsn8887 has released Enigma Vita version 1.22git-vita1.11-rsn8887 for the PSVita. NOTE: Since version 1.03 data files have not changed, only the vpk file. This is my Vita port of Enigma, a skill/puzzle game inspired by Oxyd on the Atari ST and Rock’n'Roll on the Amiga. The object of the game is to uncover pairs of identically colored Oxyd stones. Simple? Yes. Easy? Certainly not! Hidden traps, vast mazes, laser beams, and, most of all, countless hairy puzzles usually block your direct way to the Oxyd stones â¦ If you are new to Enigma, you may want to take a look at a few [screenshots](http://www.nongnu.org/enigma/screenshots.html) or peek at the [user manual](http://www.nongnu.org/enigma/manual_1.20/manual/enigma.html). Thanks to my supporters on Patreon: Andyways, CountDuckula, and Sean Ritzo. Thanks to @usineur for his libkbd-vita code for easy use of touch keyboard text entry. Thanks to the developers of VitaSDK and other developers on the Vita for making this possible, in no particular order: @devnoname120, @TheOfficialFlow, @yifanlu, @Rinnegatamante, @cpasjuste, @xyzz, @xerpi, and many others. Thanks to the many developers of the original game, such as the main developers Thomas Bernhardt, RaoulÂ Bourquin, SiegfriedÂ Fennig, MartinÂ Hawlisch, DanielÂ Heck, RonaldÂ Lamprecht, AndreasÂ Lochmann, PetrÂ Machata, Nobby, NatÂ Pryce, JacobÂ Scott, SvenÂ Siggelkow, RalfÂ Westram, and many many others. The full credits are at http://www.nongnu.org/enigma/credits.html . Special thanks to Meinolf Schneider / Amekudzi for the original Oxyd games on Atari ST and PC which inspired Enigma. NOTE: I recommend using FTP transfer to copy the files over (~10,000 small files in data.zip). There is one report (thanks @ji11×38) that using the Vitashell “SELECT Button: USB” option to copy files directly from a MacOS computer to the Vita via USB caused the files to not transfer correctly, causing Enigma to crash on startup. Dual finger tap works by holding one finger down and quickly tapping with a second finger somewhere else. Mouse sensitivity can be adjusted in options or in-game via dpad left/right. The setting affects analog joystick, touch, and real bluetooth mice. - with a text-editor, load the file $VITASDK/arm-vita-eabi/include/netinet/in.h. Inside the file, replace “struct” with “inline struct” on line 45 and 49. - Improve keymap, map left/right mouse buttons also to L/R for better playability. - updated data.zip to include many more levels with corresponding thumbnail previews and many more sound sets. Download Enigma Vita from the Brewology PSVita Store.